Looks like antelope, mule deer, blacktailed deer and elk will all be on the menu for 2013. Of course, there are the usual problems to overcome. Other obligations can get in the way. I’ll be moving across town in September, so time will be precious. I’m drawn for archery antelope in Nevada, unit 141 and for rifle antelope in Colorado. Never bagged an antelope, so this will be something new for me. I can already envision a couple ponds in 141 that may work for my pop-up blind. I’ve never been to the antelope unit in CO. The hunt will be in units 4 and 5 near the Wyoming border. Should be a good opportunity. I’ve signed up for a guided mule deer and elk hunt in Montana with Montana Safaris, Rocky Heckman. That will take place in the Bob Marshall Wilderness in early November. Of course we’ll hunt the ranch locally for blacktails. I’ll have an A tag and an AO tag. Purchased a CA bear tag again this year, but don’t know if I’ll get a chance to use it. That’s a lot of hunting, so I don’t know if it will all come to fruition, but I’ll be trying. Should be plenty to write about. Of course a big part of hunting is anticipation and the anticipation is happening big time now. Gopher snake in gravel road, warming up. 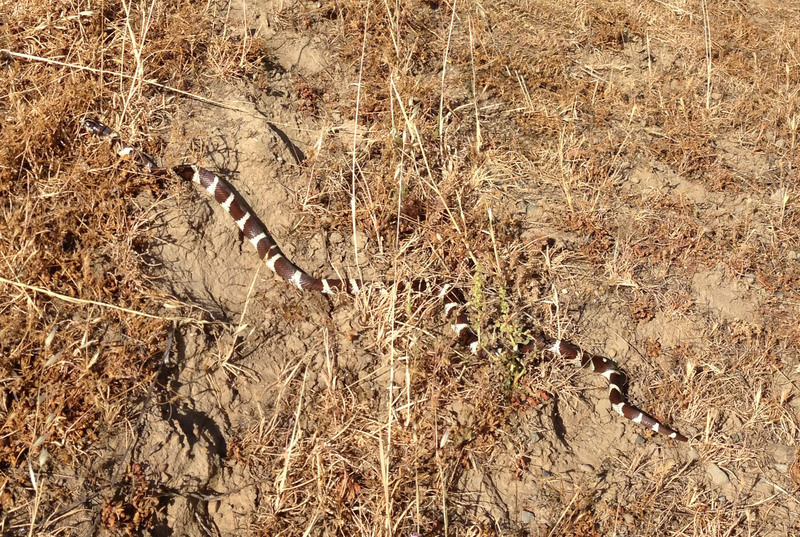 Driving home from the ranch last Friday, a form in the road caught my eye – a snake. Stopping to check it out, I found a king snake, about three feet long, warming itself on the road. The air temperature was about 60 degrees, but the sun was bright and the road provided an opportunity for the snake to warm up, probably in preparation for some hunting. Only a half mile further down the road I came upon a gopher snake that was a whopper – over four feet long for sure. He is pictured above. The king snake is below. This is a good sized king snake, over three feet long. Spring is a great time to see snakes. They are active and hungry after sitting out the winter months that are too cold for them to operate. Here is a photo of a rattler from a rattle snake den on our ranch. Rattle snakes and gopher snakes dine on warm-blooded animals, primarily rodents. This snake was very aggressive. Whipsnakes are secretive, but occasionally they stop long enough for a photo. 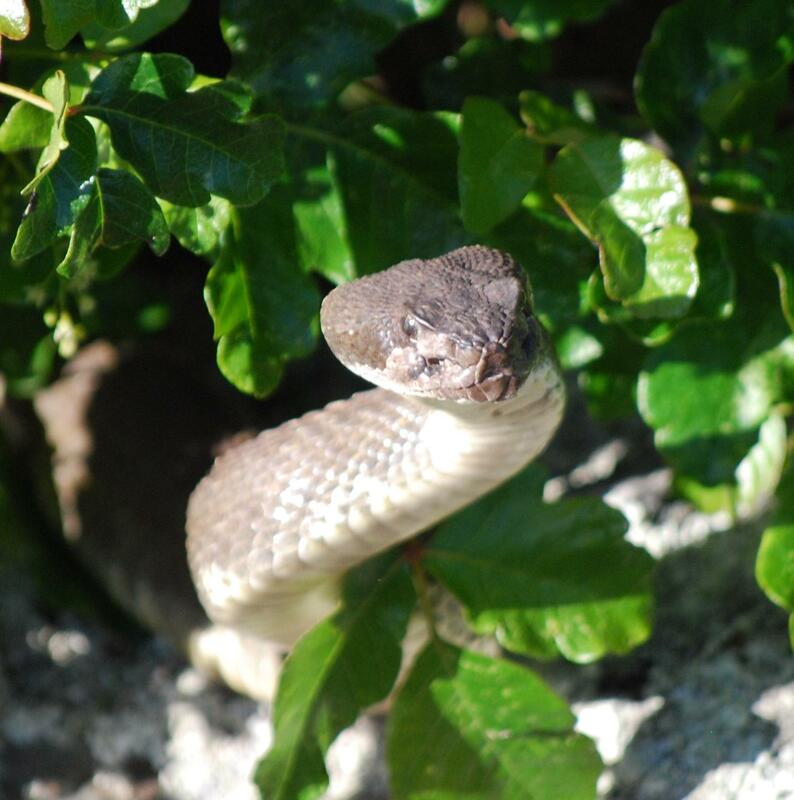 Whipsnakes eat cold blooded animals, like fence lizards and other snakes. They hunt by sight. 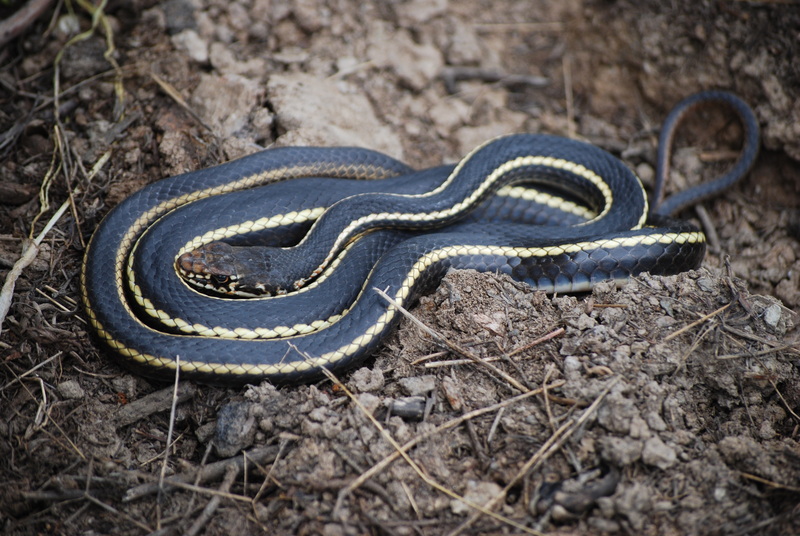 Garter snakes are usually spotted in our ponds during the springtime when they feast on larvae of toads, frogs and salamanders. 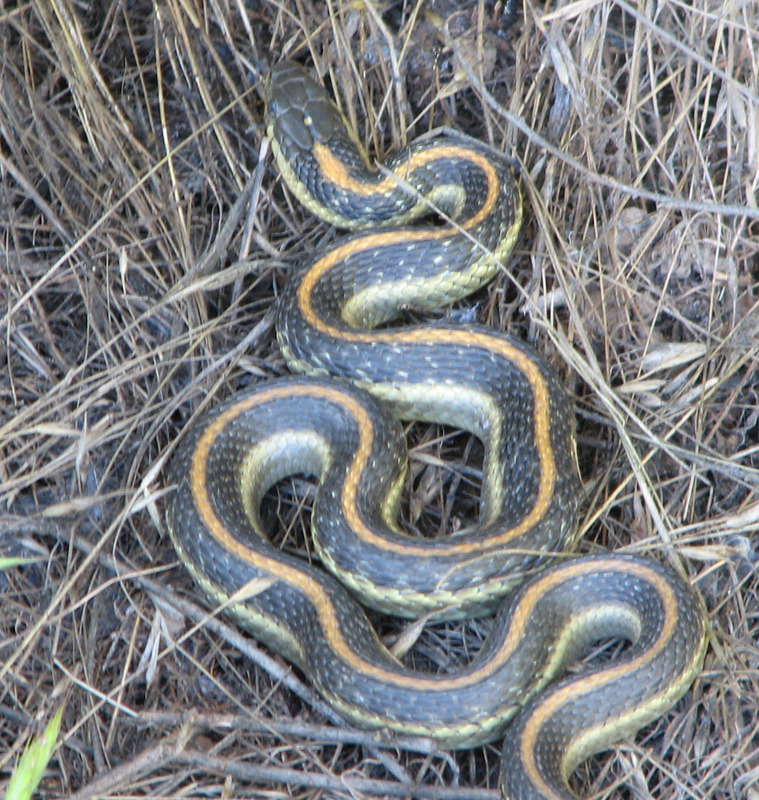 When the garter snakes find the ponds, they feed voraciously. Photographed from a land rover, this kudu bull is similar in size to the bull on my wall, but this bull lived in the safe haven of Kruger National Park. Linda was never open to the idea of hanging a mounted animal in our home – until we returned from Africa. A trip to Africa will change anybody and everybody in one way or another. And, although Linda continues to have no interest in hunting, she has formed a bond with the kudu. Being unique and stylish, the shoulder mount of the kudu arrowed in South Africa has achieved a status beyond any other animal I’ve hunted. It hangs over our fire-place. It has been in that place of honor for five years. We are very comfortable with it and Linda has redecorated the room, making the kudu the centerpiece. My guide (PH) was very accommodating and I enjoyed his company. 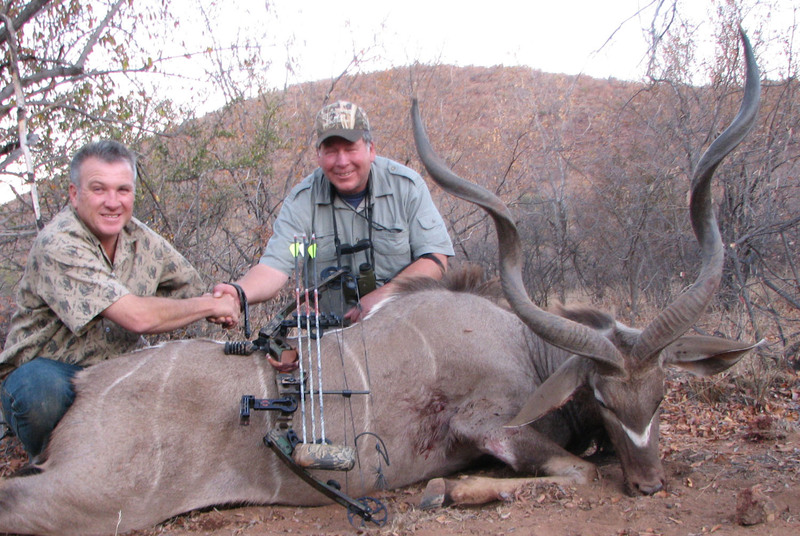 Although the kudu is the most beautiful trophy animal I’ve ever bagged, the hunt was far from the most difficult. In fact, the hunt was very easy. I sat in a blind made out to look like an ant hill. The blind had a vertical opening about six inches wide through which the arrow was released. The kudu bull and the other three animals I killed from that blind, were about 20 yards from me. All the animals fell after one shot and within 100 yards of the blind. Although not a difficult challenge to hunting skills, the experience of sitting in a blind in South Africa, within feet of many animals never observed before is exhilarating. The hunt was exciting. And, the ability to bring home a representative from a far-away place was appealing to me. Sometimes a trophy’s significance is based upon qualities of the hunt and other times it’s based upon what it stands for. 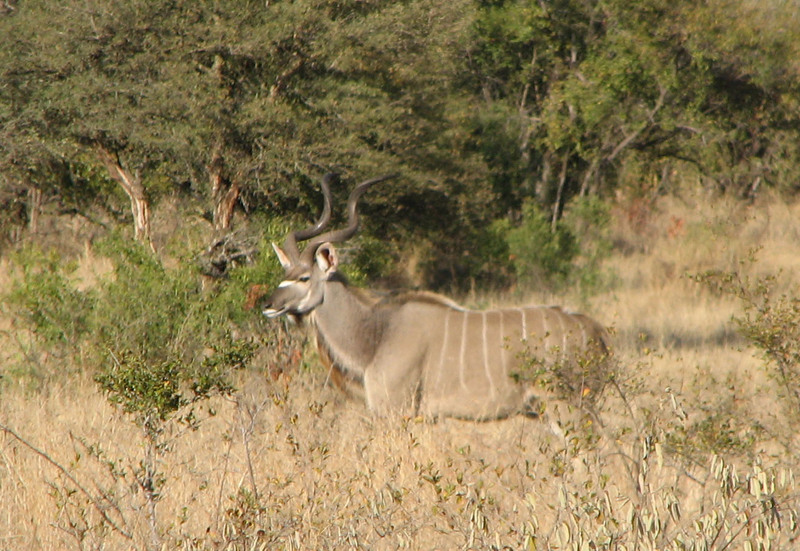 In the case of the kudu, it’s about the environment of South Africa and the unique animals found there, especially the antelope species, of which the kudu is probably the best known among hunters. Next week we will begin the process of selling our home. 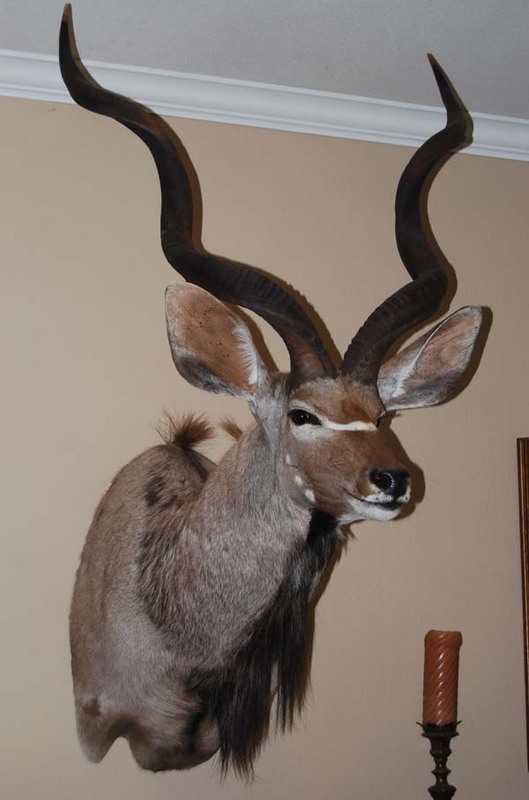 We have asked a few people their opinion of the kudu mount and their thoughts about having it on display while selling our home. So far, all have taken the politically correct opinion. 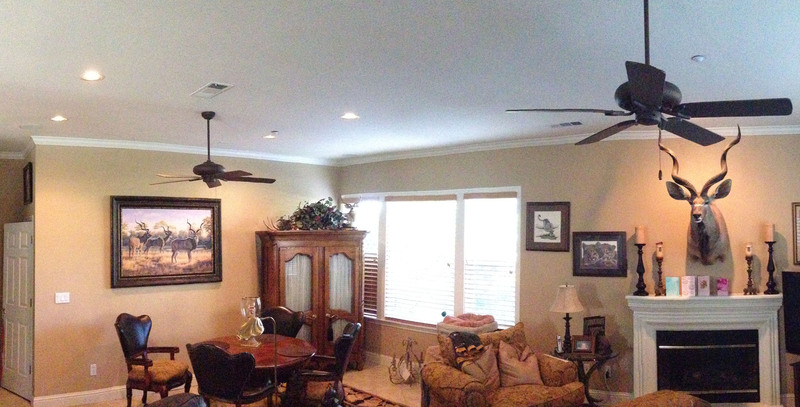 Panoramic view of our family room. It would be fairly easy to follow their advise. The mount is a bit awkward to store when not on a wall and a picture could replace it, but we have decided to leave the kudu in place. It’s become part of our home and we are selling our house, not a model home. It is the place where we live. It represents a part of us and we want to sell the house in that form. Maybe we won’t get as much for our house (we probably will) and maybe somebody will be offended (I hope not), but we won’t feel hypocritical by watering down signs of a lifestyle that includes hunting. Woodard at office@aplannedaffair.net . If you know others who may be interested please pass my email along. Southwest Desert Premium Elk – The Southwest Desert Premium Elk Tag allows you to hunt one of Utah’s premier elk units with an opportunity to kill a bull potentially in the 400 inch class. This Premium Elk tag allows you to hunt 4 seasons, archery, muzzleloader, rifle, and a late rifle season. (The season dates won’t be set until May of 2014). Hunter needs to purchase Utah hinting license and Elk License. 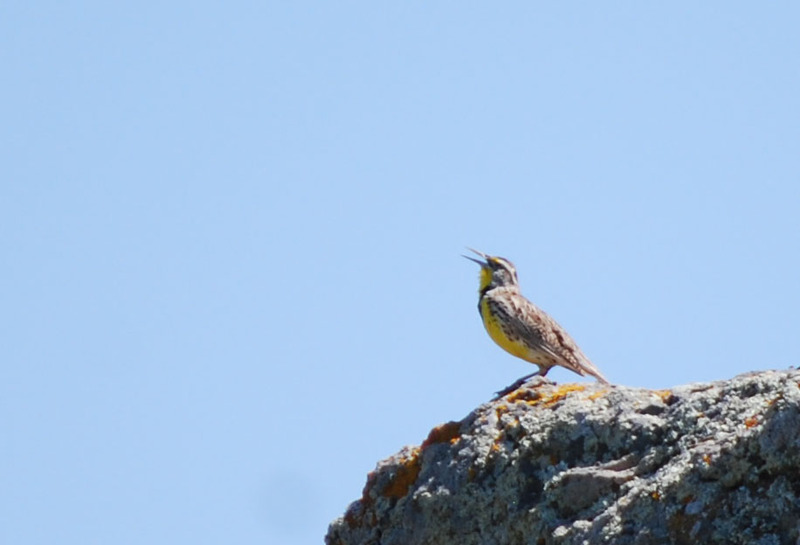 To my ears, meadow larks are among the greatest of singers. While hiking at Lake Del Valle, I stopped to rest on a ridge-top bench. A meadow lark was perched in the tree above me and his timing was impeccable. Meadow larks seem to be singing most of the time, especially in spring. We just learned that the sister of Oregon’s renowned canine adventurer OR-7, the first wild gray wolf to set foot in California in nearly 90 years, has been killed. pack is quickly diminishing: In addition to the loss of OR-5, the pack’s OR-9 wolf was shot last year by an Idaho man under an expired hunting license. And OR-16, of the Wenaha pack, was shot earlier this year while trotting along an Idaho ridgetop. The latest wolf deaths come just as the U.S. Fish and Wildlife Service readies a plan to remove Endangered Species Act protections for wolves across much of the rest of the lower 48, including the Northwest, California, southern Rocky Mountains and Northeast, where wolves are just beginning to recover. The Center for Biological Diversity — the only group fighting for wolves across the lower 48 — will continue opposing efforts to pull the plug on wolf recovery. Pets are awarded names because they have a relationship with people, but wild animals are better off unnamed – even if it’s only a number. Wolves have a serious impact upon other wildlife and humans. They need to be managed. Humanizing them is not helpful.